In 1974 a small group of young Christians began informal meetings and by 1978 they began to have more formal meetings in the city of Tegucigalpa. Among the places of meetings as a church are the National Library, the Francisca Reyes School, the Auditorium of the Faculty of Medicine of the UNAH, the Manuel Bonilla Theater, the Hotel Maya, the IMPREMA Auditorium, until in 1990 it was established in the current local in Colonia Kennedy, renting first the premises of the current auditorium and then acquiring both the premises of the auditorium and the additional land that is available today. By 1982 there were already two groups as a church, one in Tegucigalpa and the other in San Pedro Sula. 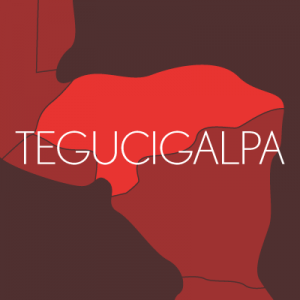 In terms of membership, in Tegucigalpa there has grown from 5 people at the start to about 2,500 people today, with 4 meeting hours on weekends and a general meeting schedule on Wednesdays, in addition to more than 100 Group meetings at homes on Thursdays, Fridays or Saturdays. The Nonprofit Civil Association Great International Commission obtained its Legal Personality through Resolution No. 112-89, dated July 5, 1989. In 1991, the Association decided to establish a school to meet the educational needs of many families, and since then it has been called “Great Commission School”, which operates legally in the bilingual modalities, from August to June, as well as in Spanish, from February to November. A particularity of our Church is its emphasis on the development of leadership at all levels, with the greatest emphasis on youth. Currently there are congregations in some 25 cities in Honduras, as well as congregations in Monterrey, Mexico, Guatemala City, San Salvador and La Libertad in El Salvador, in Managua, San José and Guapiles in Costa Rica, Panama City in Panama, Valencia in Venezuela, Miami, Atlanta and Dallas in the United States and the most recent congregation Santo Domingo in the Dominican Republic. The way of working is that each local congregation works in the inter-dependence system or network. There is a central office for Latin America based in Miami, USA. Also with the passage of time, the Association / Church has acquired assets in the form of land, buildings and vehicles. The venues that currently have their own facilities are: Tegucigalpa, San Pedro Sula, La Ceiba, Choluteca, La Entrada Copán and Danlí. In the other venues the facilities are rented. In turn, the Association / Church has established primary and secondary schools in Tegucigalpa, San Pedro Sula and Choluteca. In 2001, the Association / Church created the Great Commission Foundation with its own legal personality, as a result of the many emergency and rehabilitation works that were done during and after Hurricane Mitch. Currently it works with projects to help children with nutritional deficiencies in several of the venues, both in Honduras and in other countries of Central America, with school reinforcement projects, medical care projects, housing projects, and in Choluteca, Honduras works the “Casa Hogar Vida” project, which is a farm where houses for poor families are built with members infected with HIV / AIDS and given all the necessary assistance.